Kieran Benjamin Jones, 19, was stopped as he drove his girlfriend home and admitted driving with excess alcohol when he appeared at High Peak Magistrates’ Court on Monday. 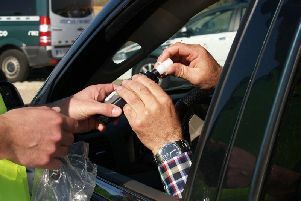 Jennifer Fitzgerald, prosecuting, said police received a call on October 31 suggesting that several people attending a party in Chelmorton would be driving home after drinking. “So police kept a watch and a Toyota Starlet was seen travelling along Main Street and turning left on Cross Street towards Flagg,” she said. Police followed the Toyota and saw it swerve erratically, so stopped the vehicle. Jones failed a roadside test and later provided a reading in breath of 55 - the legal limit is 35. Ian Baker, defending, said Jones had attended a party organised by a “friend of a friend”. “While there he consumed three cans, he says were equal to three pints, and stopped drinking at 10pm and the plan was to take his girlfriend back home to Flagg,” he told the court. “Of course the police receive this tip-off and followed him. “It was a miscalculation on his part,” Mr Baker added. He said Jones, who worked full-time, hoped to retain his employment. Jones, of Alport Avenue, Buxton, was banned from the road for 12 months and ordered to pay a fine and costs totalling £435.